This book views sixty years of British politics through the eyes of the Progress Trust an exclusive, secret and influential group of senior Conservative MPs. Many of them occupied important positions within the Conservative Party; others served as Ministers or Secretaries of State during the course of their careers. Not always known to the general public, they exercised crucial influence in times of difficulty. Private archives never accessed before reveal how senior Conservative politicians reacted behind the scenes to significant post-war events, while shedding fresh light on whether history repeats itself. Many of today s controversies have been around for a very long time wet vs dry; big or small state; Europe or open seas; control or no control of immigration. 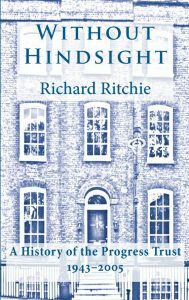 A chronology of British politics 1943 2005, viewed without hindsight by senior Conservative MPs, provides a new and fresh perspective on events both remembered and forgotten. The first official history of the oldest dramatic society in the world. This is the story of the Old Stagers, who have been treading the boards at Canterbury for over 170 years. They are the oldest amateur dramatic society in the world, and their history is bound up with cricket and Kent. The unique and rich archives of the Old Stagers are the foundation of this first official history, furnishing wonderful contemporary accounts of the theatre and Canterbury Cricket Week since 1842. Famous figures from sport, politics and the law have been proud members of the Old Stagers; their triumphs and disasters both on and off the stage offer a telling insight into English life and history since Victorian times. 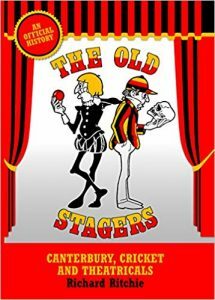 From the keenly felt distinctions between amateur and professional to the struggles in keeping the Society going through two World Wars, The Old Stagers: Canterbury, Cricket and Theatricals is a priceless and engaging look at the enduring appeal and charm of the theatre.